Enjoy Top Pun's cool Jesus bumper stickers. Match your favorite Jesus designs with cool products such as T-shirts, bumper stickers, stickers, buttons, magnets, coffee mugs, key chains, caps, posters, and even more religious-spiritual merchandise. Shop Top Pun's spiritual-religious products-merchandise for more cool religious-spiritual bumper stickers. 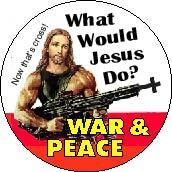 Get your Jesus bumper stickers today! 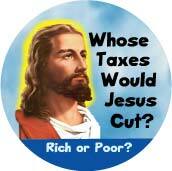 Buy your favorite JESUS Bumper Stickers today! Top Pun is your best source for serious, funny, and seriously funny JESUS Bumper Stickers.